UWG’s Spark Plug Reviewed by Webmaster on October 11, 2018 . After going 1-1 over the first 2 games of this homestand, I observed something in both games that will propel the team in future games to come. In every team sport, using substitutions strategically is one of the most important aspects to winning. 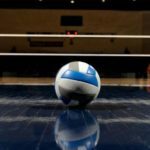 Volleyball is not an exception as it calls for timely subs for pitch serves, bulking up the defense, and taking the offense into maximum kill potential. West Georgia has a lot of young talent on the roster like freshman Libero Anna Metzler and Defensive Specialist Anjelica Webb, but that is not all. Freshman Middle Hitter Kaylyn Buchanan is a 5’9” force to be dealt with when she subs into the match. She is super athletic and catches some teams by surprise. Buchanan accounted for 11.5 points against Mississippi College and is 2nd on the team in total blocks at 31 on the season. What does not show on the stat sheet is here competitiveness and overall energy that she brings night in and night out. Although I like to call her Bunny Buchanan due to her great leaping ability, her impact off the bench is the jumpstart this team needs as they continue to push through the season. The Wolves will be back in action tonight at home in the Coliseum against Christian Brothers at 6pm.